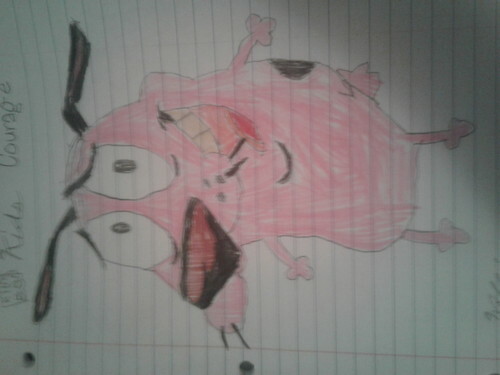 Courage Drawing By Me. I hope Ты Любовь it 🤗. HD Wallpaper and background images in the Courage the Cowardly Dog club tagged: photo courage drawing the coward cowardly kidz bop kb kidzbop dog cartoon cartoons network dogs. This Courage the Cowardly Dog photo might contain знак, плакат, текст, классной доски, and доске.